The Infinite Sea by Rick Yancey is the second book from the 5th Wave series. This book focuses on everything that happens after the explosion of Camp Haven. Cassie, Ben, Dumbo, Ringer, Poundcake, Nugget, and Teacup are all holed up in an old hotel. They have nowhere to go and are running dangerously low on supplies. Ringer refuses to believe Cassie about Evan Walker and how he survived the explosion at Camp Haven. Tired of staying in the hotel, Ringer and Teacup set off to explore and look for caverns to hide in. After they have been gone for an unusually long time, Ben starts to worry. Then Evan appears and sends everybody into a panic not knowing whether they can trust him. Then they hear the sounds of a helicopter over the hotel, which makes their worries worse. As the helicopter goes farther and farther away, a child appears in the hallway. She repeats over and over saying her throat hurts. She is taken into a hotel room to get rest and once inside, they see that her throat is extremely swollen. They look inside her throat and find what has caused it to swell. The Others had inserted a bomb into her throat which would detonate when it detected carbon dioxide. They quickly take the bomb out of her throat and leave the hotel. Meanwhile, Ringer had been captured by Vosch and was being implanted with the 12th system. She kills the nurse who is taking care of her and escapes with Teacup. 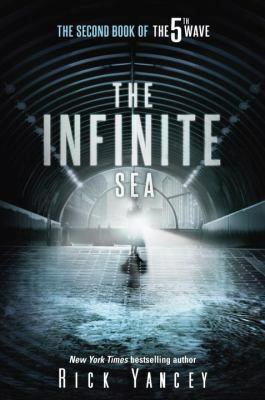 The Infinite Sea by Rick Yancey is available for checkout from the Mission Viejo Library. It can also be downloaded for free from Overdrive. Posted on March 10, 2019 by Brandon D.
Titanfall was a great game, winning over 60 rewards at its 2013 reveal, but Titanfall 2 was definitely was a step up. Titanfall 2 was nominated for multiple year-end accolades including Game of the Year and Best Shooter awards, by several gaming publications. Just talking about Respawn’s success with Titanfall makes it sound like a good game! Trust me, it gets better. Titanfall 2’s high success was due to its captivating campaign mode and its various online multiplayer modes. Titanfall 2’s many online modes put it above its first game. You can play Free for all, capture the flag, and attrition just to name a few. You play as a pilot, being a pilot gives you a massive variety of guns and abilities. You have sniper rifles, shotguns, and automatic guns. You can also grapple buildings, run on walls, and turn invisible! Running and jumping around as a pilot is only half of the game, the other half you play in a titan. Titans are giant mecha-style exoskeletions that will crush the battlefield. If you played the original Titanfall, you would know that there was only one titan you could play as. 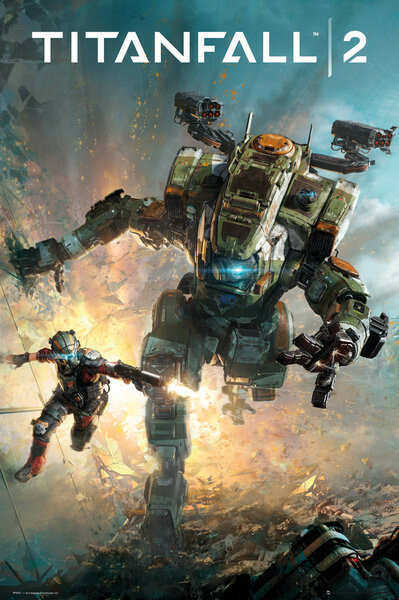 In Titanfall 2, you have seven different titans to chose from! But I’ll say no more, so I don’t spoil the game for you. One final thing that separated Titanfall 2 from Titanfall was its single player campaign mode. In campaign, you play as rifleman Jack Cooper. He hopes to one day become a pilot of a titan. And he becomes a pilot of titan BT-7274, but in a way he did not expect. Together you switch between Jack Cooper and BT-7274 as you try to stop the IMC. I enjoyed the campaign adventure a lot. It has great a great back round and has great storytelling. Plus you get to do things that you would never be able to do in multiplayer.(E.g. traveling in time!) But I’ll let you play the game to find out on your own. This is definitely an FPS you should consider getting. Five star game. Posted on January 31, 2019 by Arushi S.
Recently, fans of the Marvel Cinematic Universe were hit by two trailers for upcoming films within the same month. Disney’s Marvel released the trailers for their upcoming films Captain Marvel (2019) and Avengers 4: Endgame (2019). Endgame, being the final addition to the multi-million dollar project that is Marvel’s The Avengers, is the slightly more anticipated film. The first trailer for Avengers: Endgame was released on December 7, 2018, and as of today (December 25, 2018) has acquired 75,832,393 views on YouTube alone. The first frame is the iconic helmet donned by Iron Man, which would have a happy and excited connotation if it were not for the condition of the helmet. As Tony Stark reaches out to the disembodied helmet of his prized Mark 50, the viewer notices that both the piece of technology and Stark himself appear battered and bruised. Stark begins recording a message for his girlfriend, Pepper Potts, who also runs Stark Industries. He asks tells her not to feel guilty about his impending death: Tony is stuck in the Benetar, the ship used by the Guardians of the Galaxy in Infinity War. Stark explains that he ran out of food and water four days ago and that oxygen will run out in a day. He gives a heartfelt message to his love back on Earth, telling Pepper that he will dream of her as he drifts off. As he ends the recording, the frame transitions into the classic logo for Marvel Studios, but with a gut-wrenching twist: it fades into dust, imitating the results of Thanos’ snap. The scene transitions to the suit worn by Thanos in Infinity War. Thanos appears in the frame, but only partially: the viewer can observe his right hand, with the gauntlet melted to it due to the raw power released by his snap, brushing against the plant life on Titan 2, which is where Thanos retired to after the battle. The frame cuts to the Avengers headquarters in upstate New York, inside of which are Natasha Romanov and Steve Rogers, the latter with tears running down his face. As Natasha does a voice-over explaining that Thanos achieved his goal of wiping out half the universe, the viewer can see Bruce Banner scrolling through pictures of the heroes who are missing, including Scott Lang, Princess Shuri of Wakanda, and Peter Parker. The frame cuts to another shot of the Avengers compound, then to broken-looking Thor. As Steve Rogers does a voice-over explaining what everyone has lost due to Thanos’ malevolent mission, the video exhibits Nebula running a comforting hand over Tony Stark’s shoulder. The trailer cuts to Clint Barton; however, he’s in Japan, wearing a leather suit, with a katana, which shocks Natasha as she watches him pull off his mask. The trailer cuts swiftly to Steve Rogers and Natasha Romanov once more, but this time they’re in an airplane; Steve is back in his old suit, and his rugged beard is gone as he opens his old compass with a picture of Peggy Carter inside. Natasha assures Steve that their mysterious plan will work, and he agrees. 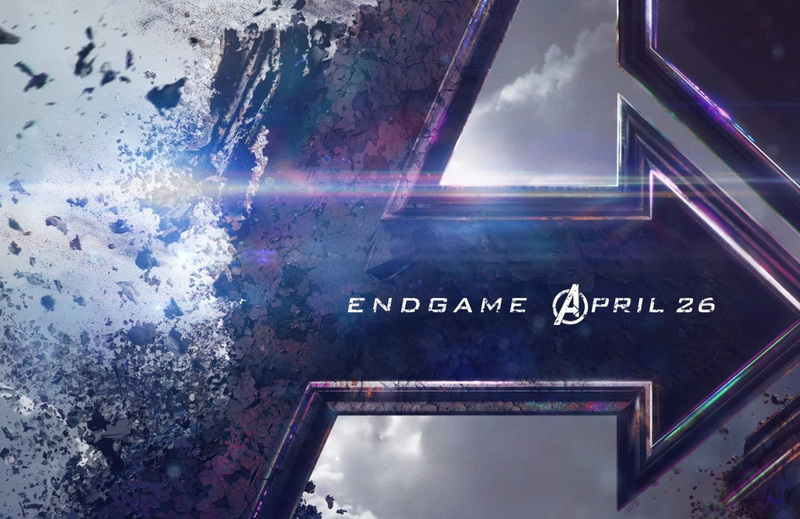 The frame cuts to the iconic Avengers logo in purple hues, with the word “Endgame” under it. The logo is made up of the metaphorical rubble left behind by Infinity War. All of a sudden, the screen goes black, and Scott Lang’s voice can be heard, asking is anyone is home. The footage that matches it appears, and Scott Lang seems to be asking someone to let him in as Steve Rogers comes into the frame and asks if the footage is recent. Natasha Romanov appears beside him, saying quietly that this footage appears to be from the front door of the compound. The image of the Black Widow’s face fades out as the screen goes black except for one word: April, which is when the highly anticipated movie will be released. Posted on December 24, 2018 by Mahak M.
The Hitchhiker’s Guide to the Galaxy starts off on a normal Thursday – until, of course, a repulsive alien race arrives with the intention of destroying the entire Earth in order to construct a new galactic bypass. Seconds before Arthur Dent is vaporized along with the entirety of his planet, he is lucky (or unlucky) enough to be saved by his friend Ford Prefect, who is actually a researcher for The Hitchhiker’s Guide to the Galaxy (which is exactly what it sounds like), and who has been stranded on Earth for the past fifteen years. As Arthur and Ford travel throughout the galaxy, they team up with Zaphod Beeblebrox, the two-headed, three-armed, slightly insane president of the galaxy; Trillian (Zaphod’s girlfriend), the only other human being left in the galaxy; and Marvin the Paranoid Android, an extremely intelligent but extremely depressed robot. Together, this unorthodox crew will travel across the galaxy in search of the universal question of life as well as the answer to the question no one cares about. They will face indescribable horrors in the form of Vogon poetry and two white mice; they will almost die, then improbably survive, then almost die again; but above all, they will remember the mantra of The Hitchhiker’s Guide to the Galaxy: DON’T PANIC! 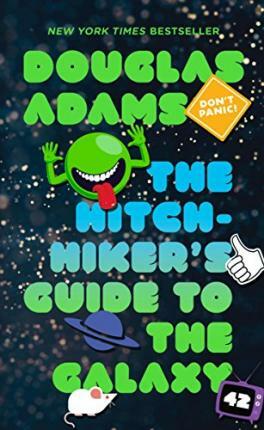 The Hitchhiker’s Guide to the Galaxy by Douglas Adams is an extremely entertaining novel that truly combines humor and science-fiction into one unforgettable book. Adams makes up for a lack of plot with an overabundance of satire and hilarity that will leave the reader racing from cover to cover faster than they can say ‘Magrathea.’ Fans of science fiction, humor, or reading in general will immediately fall in love with this prime example of imaginative fiction. The Hitchhiker’s Guide to the Galaxy by Douglas Adams is available for checkout at the Mission Viejo Library. It is also free to download from Overdrive. 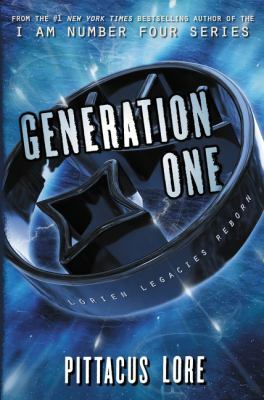 Posted on December 22, 2018 by Anmol K.
Generation One by Pittacus Lore is the first thrilling book of a new series that takes place in the same world as the best-selling Lorien Legacies series. It can be read without reading the previous series, and it starts a year after the end of it. To win the war that occurred in the Lorien Legacies series, humans allied with the alien called Garde, who used a special energy called the Loric energy in order to defeat the occupation of earth. Now, this energy has caused human teenagers across the globe to develop special powers called Legacies. In order to control and develop these powers, and to protect ordinary people, the United Nations has set up a special academy to train them in the hopes that they can help all the people of the Earth. The book follows six teenagers from all corners of the globe and their journey to the Academy. Some of them had been there for a good amount of time, but some were late bloomers when it came to developing their powers, so they arrived later. Taylor Cook is peacefully living her life in South Dakota on her farm with her Father, only hearing about rumors of teenagers suddenly developing powers. She does not think it could ever happen to her, but that all changes when she is able to heal her Father in a tractor accident. Sent to the academy, she meets others like her who are being trained to save the world one day. Her Legacy of healing is very rare, and it is something that makes her a target to other groups. I have read a wide variety of science-fiction novels, and this one is definitely one of the best ones. It was a non-stop, thriller ride with the right mix of teenage lightheartedness. Generation One was able to develop and trace each character throughout the story. By doing this, the reader can see the significance of each character and how they contributed to the storyline. The end is satisfying in relation to what occurred in the book, but there is definitely room for more with the sequel, Fugitive Six. Generation One by Patticus Lore is available for checkout from the Mission Viejo Library. The Maze Runner is about a group of teenagers stuck in the middle of what appears to be a maze. This book is the first of a series of four books. 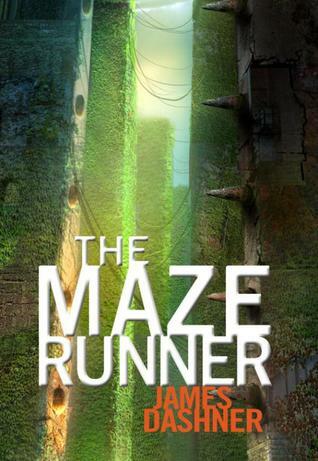 All the books tell the story of escaping the maze and finding out who put them there and why. The first book of the series tells the story of Thomas and his escape. Everything seems normal when he wakes up in the glade. However, things soon change drastically. Grievers, the monsters that are usually in the maze, start entering the glade. Soon everyone in the glade realizes that they have two choices: escape the maze or die. They quickly form a plan to escape the maze. However, some people chose to stay thinking that they would be rescued straight out of the Glade. Those that went succeed in escaping from the maze and find who put them there. It was a group of scientists called WICKED. They are then taken by a group that tells them about a sort of disease called “The Flare” that killed half the population. They are taken to some sort of camp to recover from all the results of the maze. As is revealed in the epilogue, there were lots of other Glades with other people living in them. The Maze Runner series by James Dashner is available for checkout from the Mission Viejo Library. The 5th Wave by Rick Yancey is about an alien invasion split into five parts. Nobody was expecting the first wave to happen like it did. People saw a mothership and thought maybe the aliens were peaceful. However after the first wave, which cut off all electricity, people realized the real intentions of aliens. Now that there is no electricity anywhere on the planet, the aliens invade earth and kill tons of people. After that, aliens dropped a massive metal rod onto a fault line with so much force that it caused lots of earthquakes and tsunamis. The third wave unleashed a genetically modified virus created by the Others to wipe out most of the earth. The virus succeeds, and 97% of the earth is killed. The fourth wave was when the aliens made contact with those that were lucky, or unlucky, enough to survive. They inserted themselves into the minds of people and took out the remaining humans. Finally, the fifth wave takes place. This wave is about the young soldiers trained by the alien infested humans. The soldiers’ job is to wipe out any humans left that somehow survived the fourth wave. The story follows Cassie, and her journey through all five waves trying to stay alive and rescue her brother Sammy. 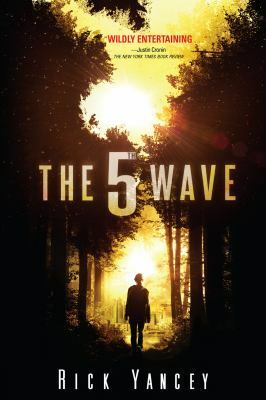 The Fifth Wave by Rick Yancey is available for checkout from the Mission Viejo Library.